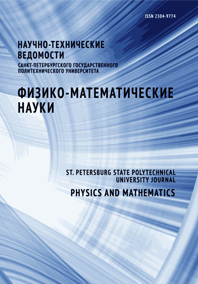 Sominski Gennadiy G. Sezonov Vyacheslav E. Zadiranov Yuri M.
The operation of field emitters of a new type prepared from contacted nanolayers of ytterbium and carbon has been investigated. The performed calculations and experiments allowed to optimize the emission characteristics of the emitters. The calculations took into account the existence of a transition zone between the layers of Yb and C. Emission characteristics of the cathodes including up to 40 pairs of layers of carbon and ytterbium with optimum thicknesses of 5 and 2 nm respectively were measured. The created multilayered emitters provide the average emission current density over the surface of the emitter up to 10 - 20 A/cm2 and show promise for use in miniature electronic devices.